Velma was born August 10, 1946 in Ft. Duchesne to Everett Hewitt and Melba Rita Accawanna Colorow. She married Linwood Valentino Sireech on July 26, 1963. He died October 16, 1993. 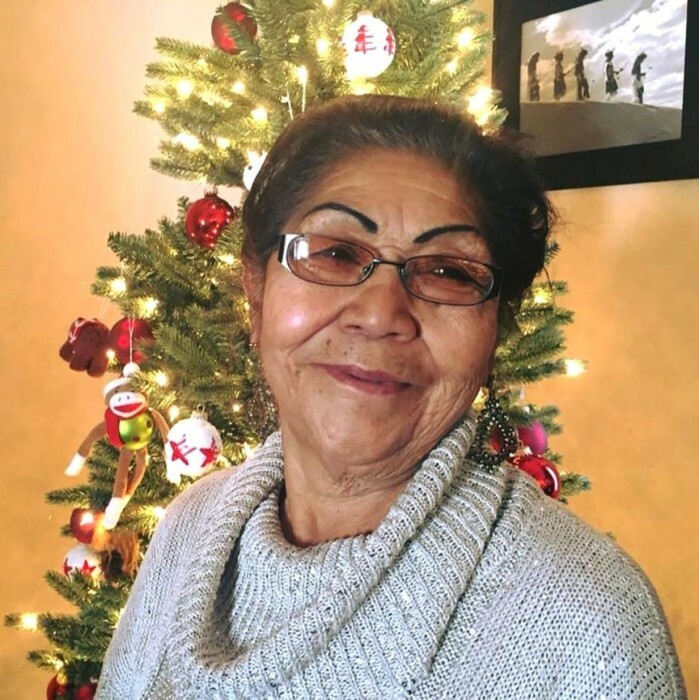 She is survived by her children, Nonie Rose Sireech, Valentina Rita (Arnold Morris) Sireech, Judd V. (Rena Primo) Sireech, grandchildren that she raised, Victoria (Julian Marquez) McCook, Raven Snowman, Lyndsey (Sy Collins) Serawop, other special grandchildren, Grizzly Arnold, Wolfgang Arnold Morris, Isabella Marquez, Gabriella Marquez and one more on the way. She is also survived by her siblings, Everett (Mary) Colorow, Loretta (Duane) Burchick, Eloise (Clint) Ledbetter, Freda (Roderick) Groves, Robert Colorow, Camille (Albert Warren) Appawora, Lynn Appawora, and Henry Appawora.